Coyote provides bold, bright, colors for your ware. The look of reduction in an electric kiln. Durable and not runny, these glazes are equally suited to both decorative and practical ware. They combine great with other Coyote glazes, especially the Archie's and Shino series. 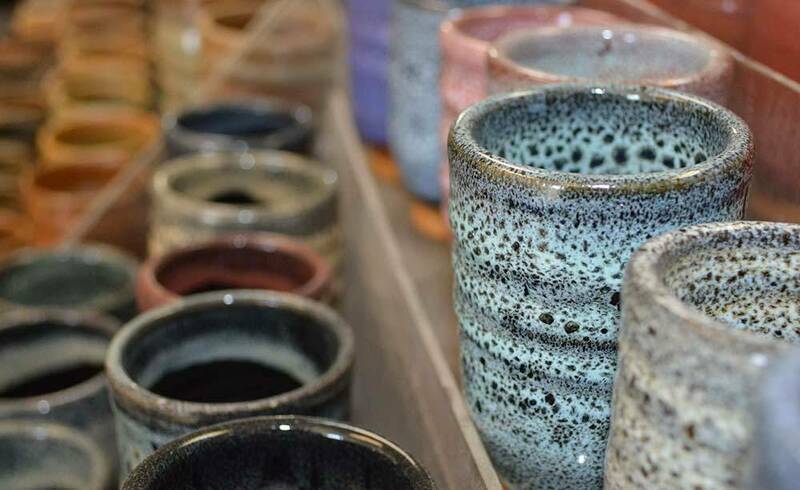 Coyote Glazes and Underglazes are evaluated by an independent toxicologist. None of our recipes use lead and all are non-toxic in the liquid state. All Coyote Glazes are 15% off! One of the most varied series from Coyote, the Copper and Iron Glazes provide beautiful, traditional looks for ceramic wares. They each have their own properties, but most are durable enough for functional ware. Satin glazes have a soft, opaque surface that feels smooth to the touch. Durable, bright, and reliable, they are the perfect series for any functional potter seeking a contrast from more typical gloss glazes. They are not runny, are easy to use, and look great with the Archie's series. provide bold, bright, solid colors for your ware. Durable and not runny, these glazes are equally suited to both decorative and practical ware. They combine great with other Coyote glazes, especially the Archie's and Shino series. Coyote High Fire Under Glaze. Glaze- Cone 5-6 Coyote Dry. We go get the glazes from Coyote (2 miles away) when you order.